Professor John Hearnshaw, Chair of the Aoraki Mackenzie International Dark Sky Reserve Board. - Professor Mike Reid, Head of Dept of Physics and Astronomy, University of Canterbury. - Mayor Graham Smith, mayor of Mackenzie District. - Hon Nicky Wagner, Associate Minister of Tourism. - Quinton Hall, CEO of Ngai Tahu Tourism. Te Wera King’s kapa haka group from Waimate will perform for the Starlight Festival opening. Te Wera is from the Arowhenua Runanga of the Ngai Tahu iwi. This event is part of the Aoraki Mackenzie Starlight Festival, Friday 13 October 2017 to Sunday 15 October 2017. 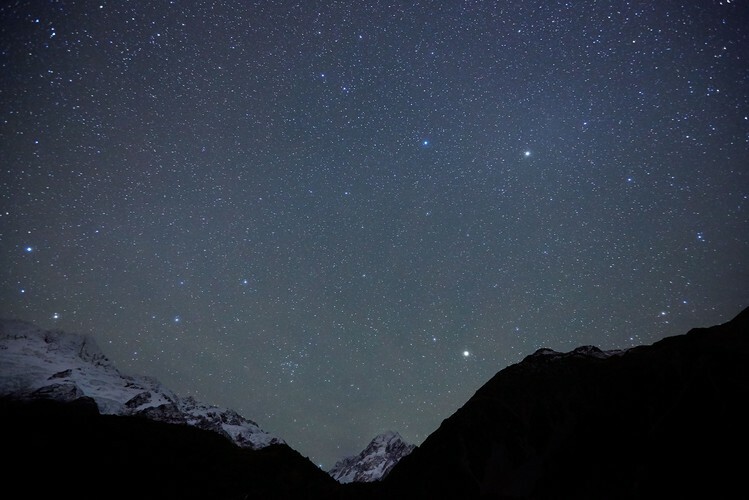 The Festival, a biennial event, celebrates the creation of the southern hemisphere’s first International Dark Sky Reserve, in the Mackenzie Basin and at Aoraki/Mt Cook National Park in the centre of New Zealand’s South Island.